Ticket machines once replaced many of the people selling ticket from counters. 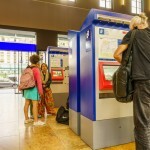 Now the internet and mobile phones threatens ticket machines. 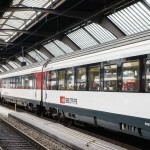 As more and more people dash past ticket machines with an electronic train ticket in their pocket, Swiss Rail is looking at phasing out some machines according to various newspapers including 20 Minutes. The 150 machines selling fewer than 20 tickets a day have been singled out, reported Keystone-ATS. These machines will not all disappear. 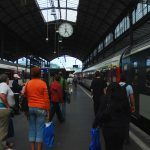 There are other criteria such as providing ticket access to children and the disabled along with the proximity of other machines. 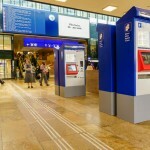 Each machine costs CHF 30,000 and Swiss Rail has recently invested CHF 30 million in new machines. In 2018, 38% of tickets bought were electronic compared to 32% last year. Tickets bought from machines fell from 49% to 46% and ticket counter sales were 12% down from 14%.